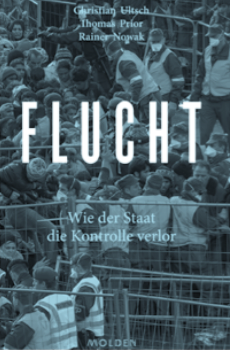 Flucht —wie der Staat die Kontrolle verlor. The one political theme that has been dominating Europe for the last several years, the migration crisis, is usually being linked with Germany, as it has admitted in the biggest number of migrants. Its government has also asserted, at least publicly, that it is not acceptable to cap the number of these people. So it has transpired that the events there overshadowed the struggles of other countries which have also had their hands full with migrant influx since 2015-2016. First we need to mention Sweden, which, per capita, has taken in the biggest number of migrants. It is closely followed by Austria, also being overlooked, as focus has been on Germany. Yet it was the agreement between German and Austrian governments concerning the migrants’ transit, struck at the end of summer of 2015, that set the course of events on its current tracks. Had the agreement not been so readily found, it is highly likely the migrants’ story would be very different today. There is one more thing that sets the events in Austria apart: in no other European country has the political establishment been more shaken by the migrant crisis. It almost determined the outcome of presidential elections and resulted in the resignation of the prime minister. A new breed of political leaders has emerged; younger, untethered by traditional party structures or the classical left-right divide. In no other European country has the political establishment been more shaken by the migrant crisis. It almost determined the outcome of presidential elections and resulted in the resignation of the prime minister. 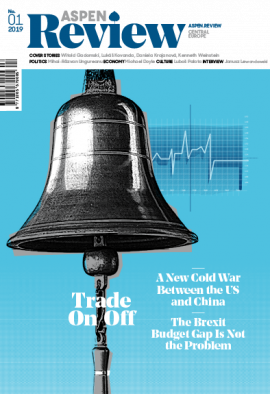 A book by a trio of journalists of Austrian conservative daily newspaper Die Presse, Rainer Nowak (editor-in-chief), Christian Ultsch (editor of foreign affairs), and Thomas Prior sheds light on the ins and outs of events that managed to alter the country’s profile. Its sources include off-the-record interviews with diplomats, police officials, and mainstream politicians and paints a comprehensive picture of the seismic events there. If their view on Austrian contribution to European migrant crisis is to be reduced to a couple of main points, it could be summed up as a story whose main protagonists completely failed to communicate with each other in time of crisis. Some of them got convinced that theirs is a role in history, only to find out, way too quickly, that they were in over their heads and had to scramble to pull the emergency stop. Despite the initial disdain, or perhaps because of it, a certain bond was forged over the years. Faymann eventually took on the role of a liaison with other European social democratic prime ministers and conveyed her stance on current a airs. In 2014, he was even rumored to become a President of European Council, though in the end he turned the offer down and a Polish candidate Donald Tusk was elected instead. That special relationship between Merkel and Faymann ought to be remembered when pondering Berlin’s decision to take in Syrian refugees in the summer of 2015. At that time they had already been camping for several months in Hungary and their situation seemed to be untenable. Orbán’s Hungarian government wanted to get rid of them. He had set accordingly restrictive policies in place since the spring of 2015, the most visible attribute of which was erecting a fence along the border with Serbia. Budapest simply argued that migrants want to go to Germany and it is not their job to stop them. A tweet from the German Office for Migration and Refugees (BAMF) dated August 25, 2015, proved to be a catalyst of events: it asserted that when processing Syrian refugees the rules of Dublin Asylum System would not be taken into account. Thousands understood this that Germany would take in anyone who manages to get there and set out to march towards the Austrian border. “Germany is only doing what is morally and politically necessary to be done. No more, no less,” was Merkel’s reaction to Hungary’s criticism claiming that German officials “practically invited” the migrants in. During this time, Fayman was daily on the phone with Merkel and sought assurances that Germany would indeed take the migrants in. Seemingly safe in Merkel’s wake, he went on to also push for humanitarian approach. This opened a possibility to lecture Orbán on humanitarian worldview, an opportunity that was not lost on him. The central figure was Chancellor Werner Faymann. In 2015, the social democrat had been in office for seven years, a veteran of EU politics, along with Angela Merkel. “Open the gates to humanity,” was his slogan when his country was faced with thousands of new refugees on daily basis. Austria was swept by a wave of hospitality and solidarity. Nevertheless, authors prove that nobody from the top echelons was interested in keeping the migrants there. They quote an official of a large international humanitarian organization claiming that Austria indeed possesses a know-how necessary to process and register a large influx of people—a feat repeated daily at the Vienna Airport. With a registration, however, a record of it would show in the Dublin Asylum System, leading to a responsibility for processing the asylum claims. In the meantime, another story plot began to unfold, according to the authors. Conservative coalition partners in Faymann’s government did not share his enthusiasm. At the forefront was the young Foreign Minister Sebastian Kurz. He sensed an opportunity not only to challenge his mightier coalition partner but the populist Freedom Party (FPÖ), which has been riding a wave of fear, as well. Bleak situation in the largest Austrian refugee camp Traiskirchen (a refuge for many Eastern Europeans escaping communism before 1989) came to his aid. The newsreels during an otherwise uneventful summer were dominated by footage from the absolutely overcrowded camp with hundreds of people sleeping on bare ground. Austria was swept by a wave of hospitality and solidarity. Nevertheless, authors prove that nobody from the top echelons was interested in keeping the migrants there. The Freedom Party was successfully playing the fear card, claiming it was going to be Austria’s responsibility to look after the newly arriving migrants, at the expense of its own citizens. Conservative Kurz avoided such simple xenophobic approach and even reminded media during several interviews how his parent had taken in refugees from Bosnia during Yugoslav wars. However, as the foreign minister his actions spoke louder than words. He immediately contacted his fellow ministers in the EU and, above all, set off to Macedonia, a state at the threshold of the so-called Balkan route and thus kicked off his political rise. All this was happening while social democrat Faymann counted on Germany sticking to its part of the deal and keeping the incoming migrants. Kurz went on to set out a five point plan for the solution of the migrant crisis, later to be accepted by general consensus. Among his demands was an increased protection of EU borders and establishment of asylum centers as close as possible to war zones from which people are trying to escape. Two weeks after the first train with migrants crossed the Austrian-German border, Austria’s migrant policies suffered a major blow. In the middle of September, Berlin decided to establish border checks. Faymann began to worry that in time it would lead to a complete border closure and migrants, still coming to Austria, would be forced to stay there. His government declared a dramatic about turn. If yesterday it sharply criticized the border fence between Hungary and Serbia, well, today it started erecting its own barriers at the border with Slovenia. New motto, albeit never fully declared, became to decrease the number of migrants on Austrian soil as much as possible. One way was to protect the southern border with Slovenia, the other was to speed up the migrants’ transit to Germany, even if it involved, to Germany’s dismay, Austrian police escorting the migrants to the German border and pointing out the weak spots in border control to enable trouble-free (understand: illegal) passage to Germany. Austrian Chancellor Faymann had completed his about-turn in January 2016, when his government set out a cap for the number of migrants admitted to the country and his foreign minister managed to close a deal with Balkan countries that effectively closed the so-called Balkan route to migrants. The risky maneuver paid off as the number of newly arriving migrants fell sharply. The relief was also felt in Germany, even though Berlin officials sharply criticized the Austrians. Yet Kurz was in direct intensive contact with some members of German government (Defense Minister Ursula von der Leyen, Finance Minister Wolfgang Schäuble) and kept them up to date. The latter even asked him, during an informal meeting in Brussels, if Merkel had thanked him for stemming the flow of refugees to Germany from the Balkans. The Freedom Party was successfully playing the fear card, claiming it was going to be Austria’s responsibility to look after the newly arriving migrants, at the expense of its own citizens. Merkel’s position, after a fall during the peak of the migration crisis, has stabilized again. She kept her appearances and claimed she could not have acted differently, although in reality her government has been tightening its migration policies. The German chancellor has invested a lot of energy and political capital into a deal between Brussels and Ankara. Turkey has then taken on a role of a “bouncer” for the EU, keeping the refugee issue at bay and protecting the top European politicians from the necessity to comment on “ugly pictures” documenting daily struggles to survive taking place at the gates of Europe. Merkel’s former ally Faymann was not so lucky and did not politically survive his about turn. In May 2016, between the first and second round of Austrian presidential elections when victory of Freedom Party candidate seemed possible, he resigned and made room for Christian Kern. Faymann, relatively unpopular even before the refugee crisis, then became a universal scapegoat for all the failures of his government. Two weeks after the first train with migrants crossed Austrian-German border, the Austria’s migrant policies suffered a major blow. In the middle of September, Berlin decided to establish border checks. Kern personifies a politician who landed the top job at social democrats thanks to refugee crisis as well. As a former CEO of Austrian State Railways he took credit for his company’s ability to ensure more-or-less smooth transit of migrants through Austria to German border. The man to benefit from the struggles of refugees the most is without a doubt Sebastian Kurz, in 2017 at the age of 31 the youngest prime minister in Europe and the new leader of Austrian conservatives. That, however, is an altogether another story.